PAUL BILODEAU/Staff photo. 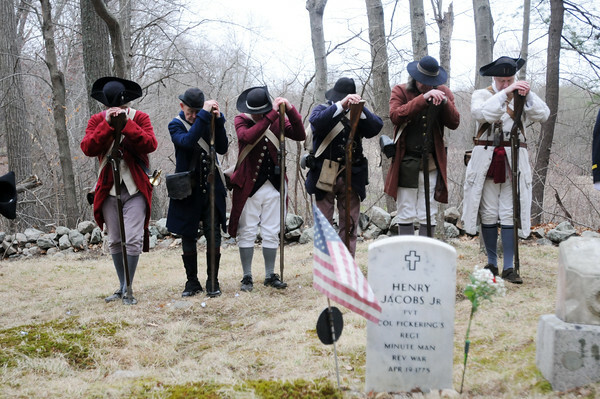 Members of the Danvers' Alarm List Company have a moment of silence at the Jacobs Gravesite in Peabody yesterday. Henry Jacobs was one of the Danvers men who fell on April 19. He is buried in a family cemetery. At that time, Peabody was part of Danvers.